Struggling With Facebook Ads? 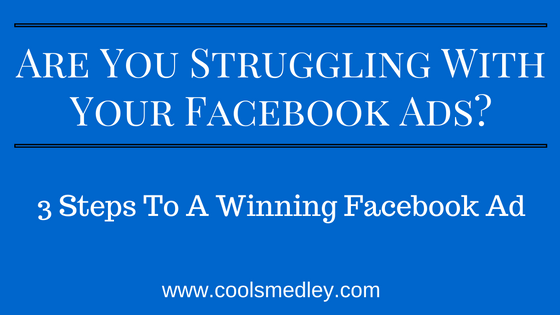 3 Steps To Your Winning Facebook Ad. I wanted to answer a recent question I received about ad copy. One of the biggest complaints when it comes to Facebook advertising is “It’s Not Working”. When reviewing 99% of the ads, it almost always has to do with the copy to attract the prospect and getting them to take action, i.e. click to optin/landing page, call, watch video etc. The same underlining issues comes down to the copy. More specifically direct response copy. Direct response copywriting can take several different forms. It could encompass not only Facebook ads, but all ads on any platform in addition to direct mail. So, today I wanted to give a couple direct response copywriting tips, we will look at what this entails and where you can find more information about direct response copywriting. To learn more about direct response copywriting, you should look at one of the masters: Dan Kennedy. He has written many books which you should look into. Dan has done many different areas of copywriting but direct response copywriting is one of his specialties. When you talk about direct response advertising, there is a great deal of competition. Many companies employ direct response copywriting so you must make sure that you have different ways for your advertising to stand up. When you are doing direct response copywriting, you should make sure that you are writing to your prospects as you would write to a friend. 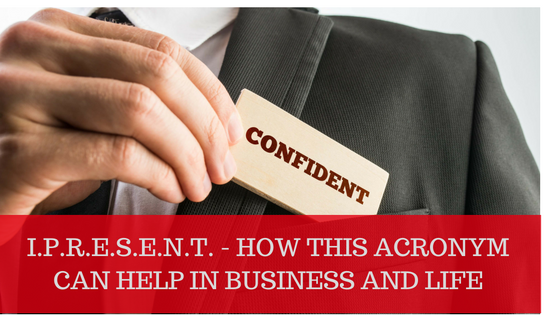 This will be slightly formal but informal in the sense that you are writing to the person in a conversational tone. You do not need to stick to a certain length of space within your writing but rather write until what you need to say has been said. Direct response copywriting is a complex subject so you should read more about this subject because a formula has been developed that you can use. There is no reason to reinvent the wheel when you’re copywriting because that involves more work on your part and people have taken the time and effort to test the different parts of the letter to maximize the current formula and wring out the most sales possible with a direct response copywriting campaign. There are three main parts usually to a direct response ad. These are the headline, the offer, and the postscript. The headline is the most read part of your ad so you must make sure to grab your prospects’ attention immediately. If you do not grab their attention, you’ll find that your ad is getting passed over through their feed. Secondly, the offer explains in great detail what a person will receive if they take you up on your offer. The postscript will offer further incentives so that the person will respond immediately. The third important part of the ad is the postscript. This is where you will be giving an incentive for someone to respond immediately to your offer. The key behind direct response copywriting is that you want the person to immediately respond to the offer that you have presented. 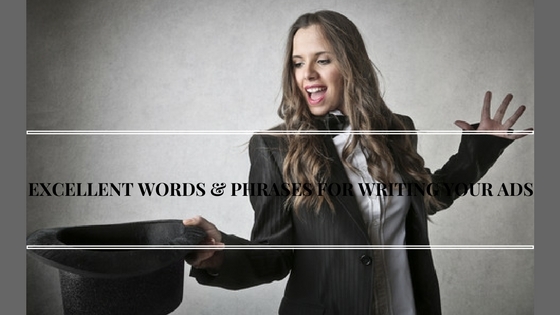 Good copywriting is done by following the formulas that have been established. 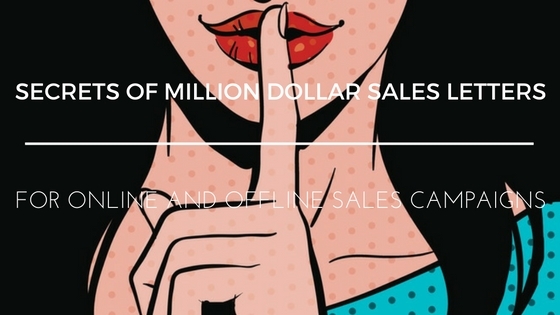 If your ad is directing someone to a sales letter or VSL then you can use SECRETS OF MILLION DOLLAR SALES LETTERS – FOR ONLINE AND OFFLINE CAMPAIGNS to guide you through. By focusing upon the three main parts such as the headline, the offer, and the postscript, you will be setting yourself up to have a high success rate. Lastly, I can not express enough to NOT use the regular Facebook ad template through “Ad Manager” which restricts how many characters your ad can present. Go through Power Editor and produce a “Dark Page Post”. These type of ads provide you the ability to tell a story using the 3 main parts of direct response ad’s described above. Momentum Is The Engine That Propels That Car Called Motivation! 5 Easy Ways You Can Keep Motivated Daily. 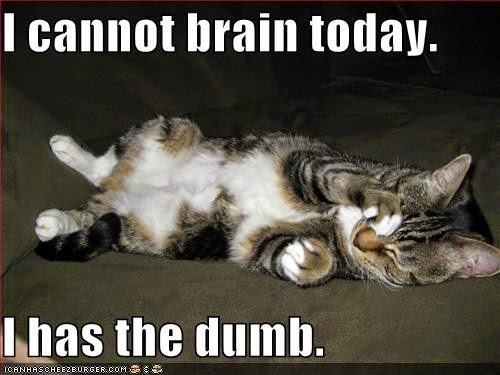 Do you ever find yourself on Monday morning dreading the day? If not, your not human! If so, your not alone. Finding motivation to excel at work or within your business can be the ultimate challenge. Trust me, I have definitely had MANY days where I will just put that on tomorrows to do list because I don’t have any motivation to get it done. The biggest part of motivation is the momentum behind it. Momentum is the engine that drives that car called life or work or business. Well, I want to share a couple ways that you can keep your motivational momentum. 1.Maintain a Positive Attitude – Let’s realize that life is only 10% of what happens to us and 90% how we react to it. We’re responsible for our own actions and attitudes, and changing them when appropriate. When you’re around people/things that are uplifting and positive, you feel that way. You have more confidence in yourself, and know you can change whatever needs changing. If you can make your workplace such a place you’ll find happier workers and higher production. You might even find your employees look forward to coming to work! 2.Leave Personal Troubles Home -Everyone has problems, but they don’t belong at work. Turn your attention and energy entirely to your on-the-job tasks. This will actually be good for you because you’ll get a mental break from your troubles. 3.Create Positive Affirmations -The reason for writing goals for your business is the same as creating positive affirmations on paper. What your eyes see and ears hear, your mind will believe. Try it! After you’ve written them down, read them aloud to yourself – and do it every morning when you get into work. You’ll be amazed at what happens. Come up with a set of new ones every month. Statements such as, “I’m an important and valuable person,” or “I know I’ll make good use of my time today.”Repeating them out loud everyday at a set time will help reinforce positive actions. 4.Make Sure Break Times Are Really Break Times – This is an area where most bosses/entrepreneurs fall down. You become so intense about the project or situation you’re working on that you don’t ease up. Thinking that it’ll be solved in the next few seconds, and then you’ll get a cup of coffee can lead you right up to quitting time. Regularly adhering to a specified break schedule, even if you’re the boss, releases the tension. If you work on a computer this is even a greater problem because before you realize it – you’ve been working in that same position for hours. The best answer to this is to set yourself a reminder on your appointment calendar for every 2 hours, and let the computer reminder chime send you the alert to move around. 5.Exercise, Exercise, Exercise – I know that lately it seems that “exercise” is the cure-all to every physical ailment or your love life, but despite that there is some truth to that ugly word. By “exercise” I don’t mean that you should go out and join a gym and spend your lunch-time, 3-days-a-week there working out. What is really beneficial and workable is that at those chiming alerts from your computer, get up and walk around your desk or room. Maybe go outside and get the mail and enjoy the sunlight (if you’re an entrepreneur that has a home office), or just get up and do a few stretches. Concentrated, tense thinking – typing – plotting plans – or whatever your work, makes all those muscles tighten up and knot up. Then when we move we “ooh” and “ouch”because we’ve knotted up into a ball of tension. Periodic stretching, even at our desk, or just getting up and walking over to the window and getting a different view can help. One of the greatest disservice modern business décor has done to us, is making our offices pristine, sleek, unencumbered spaces. There is nothing more relaxing than getting up from your desk and walking over to a peaceful, serene, seascape or pastoral painting and just drinking it in visually. Momentarily transporting your mind out of work and into that place does wonders. A few good paintings and less shiny chrome in offices would benefit us all. It only takes a little concentrated effort on our part to keep motivated and productive, which leads to success. I know you’re going to hate hearing this, but it’s true anyway – and that is, “WHEN LIFE GIVES YOUR LEMONS – MAKE LEMONADE! 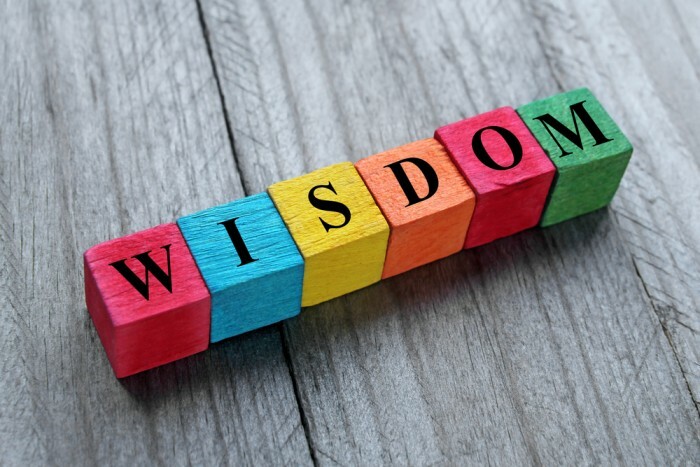 Do You Use Manager “Wisdom”? ?